All tests are CE Marked, with an accuracy level of 99%. For more information about drugs click here. 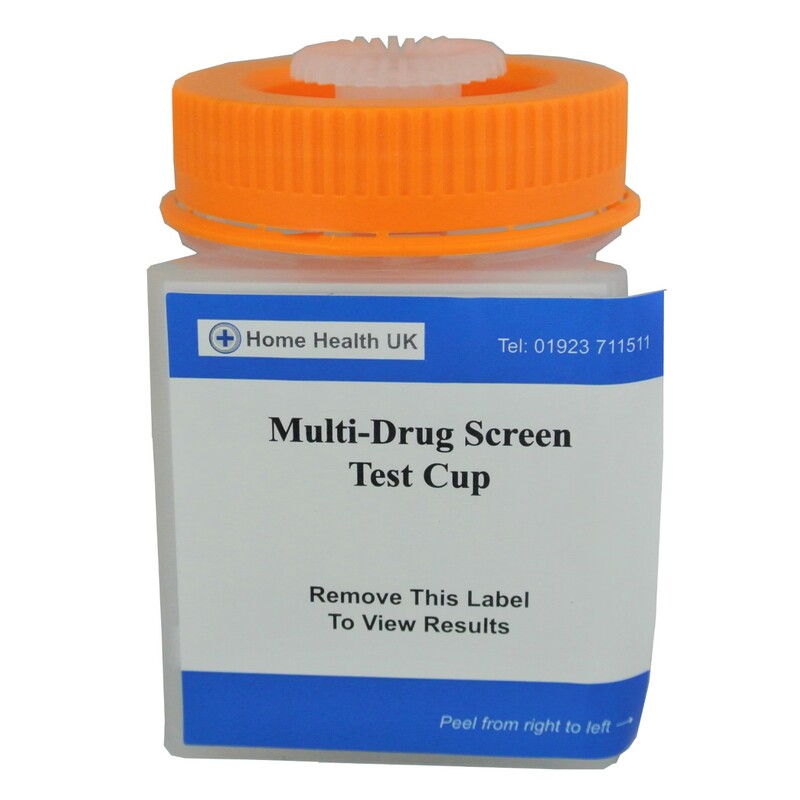 Due to the sensitive nature of this drugs cup, you must be careful when carrying out the test to avoid contamination and thus inaccurate test results. Please read the instructions carefully before beginning the test. Open the bag containing the plastic drug cup and remove the cup. 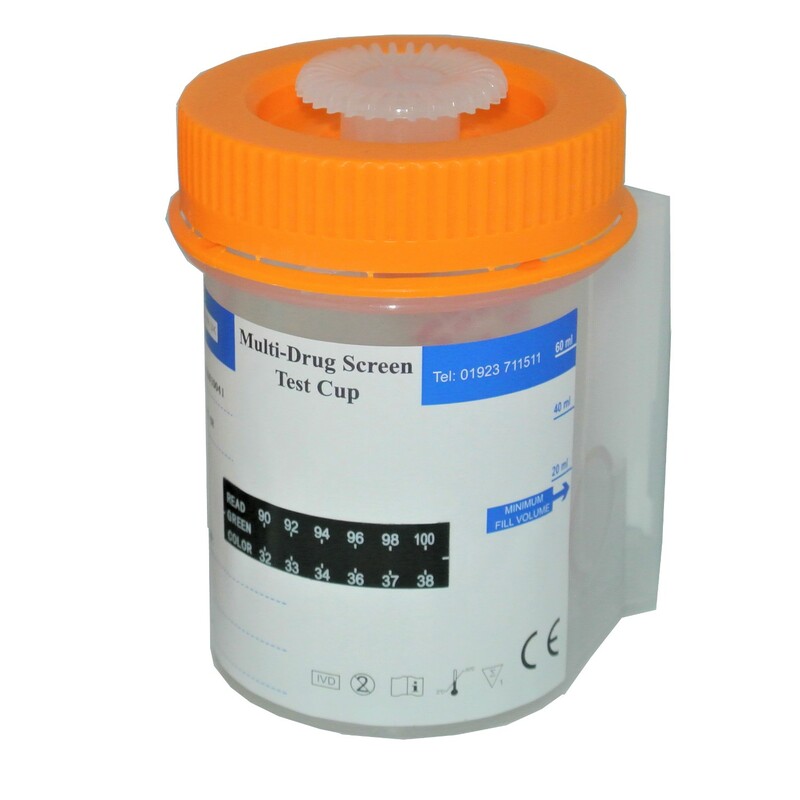 The person to be tested for the presence of drugs needs to urinate into the drug cup. 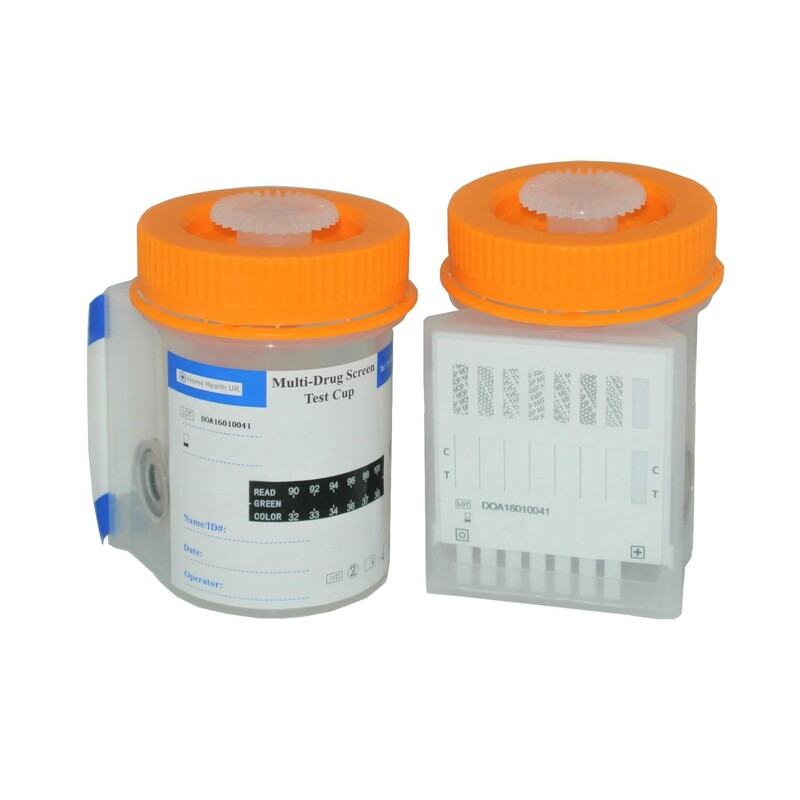 Ensure the specimen reaches the minimum fill volume line on the test label. There is a temperature bar on the label of the drugs cup. If the temperature does not show a green colour then the test may have been tampered with. Human urine should be between 90-100ºF. Secure the cap on to the cup by screwing the lid on firmly. On a flat surface, insert the provided key into the bottom of the cup and push in firmly to a fully closed position. When ready, peel off the label to view the results. You can read the results after 5 minutes. All results can be read for up to 8 hours after the test was carried out. Read the results of each strip individually and independent of one another. You will see 2 letters on the drugs cassette by the test strips, ‘C’ this is the control band and ‘T’, the test band. A pink coloured line should appear on each strip of the control band (C), this confirms each strip has worked properly. If no line appears in the control band (C) then that strip has not worked properly. A second pink coloured line, no matter how faint should now appear in the test band (T). This is a negative result. If a second line does not appear on a strip then that strip has tested positive for the drug of abuse on the label above the strip. Remember a negative urine sample will produce 2 lines, and a positive urine sample will produce only one line in the control band (C). If you obtain a negative result then the person tested has none of the tested drugs of abuse in their body at this time. You may want to re-test again in a month’s time. If you obtain a positive result on one of the drug strips then a drug of abuse has been detected in the urine. You may want to do another test later, or at a further date to confirm the result.